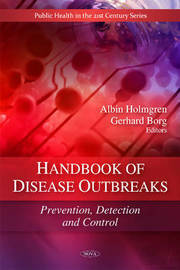 The authors of this book examine the effects of increasing population numbers and growing environmental degradation on the current and future disease incidence throughout the world. The role that nutrition plays in the outbreak of diseases such as the Cuban epidemic optic neuropathy (CEON) is explored as well. Other topics discussed in this book include the risks, diagnosis and treatment of Lyme Disease, the new approaches being used in the development of plague sub-unit vaccines, the extent to which the journalistic field relies on the language of science to provide a constructed picture of world events such as disease outbreaks, the animal and human health implications of transporting animals over long distances, and the measures that need to be taken to limit such long distance transport of animals for slaughter, with positive effects for animal and public health, as well as economic and social benefits.